Fri., March 24, 2017, 9:50 p.m.
SAN JOSE, Calif. – Bruce Arena’s return as U.S. coach reignited American confidence, and his players responded with an emphatic rebound in World Cup qualifying. Clint Dempsey returned from an irregular heartbeat to score his second international hat trick, 18-year-old phenom Christian Pulisic had one goal and set up three others, and the U.S. routed Honduras 6-0 Friday night to get right back in contention for an eighth straight World Cup berth. 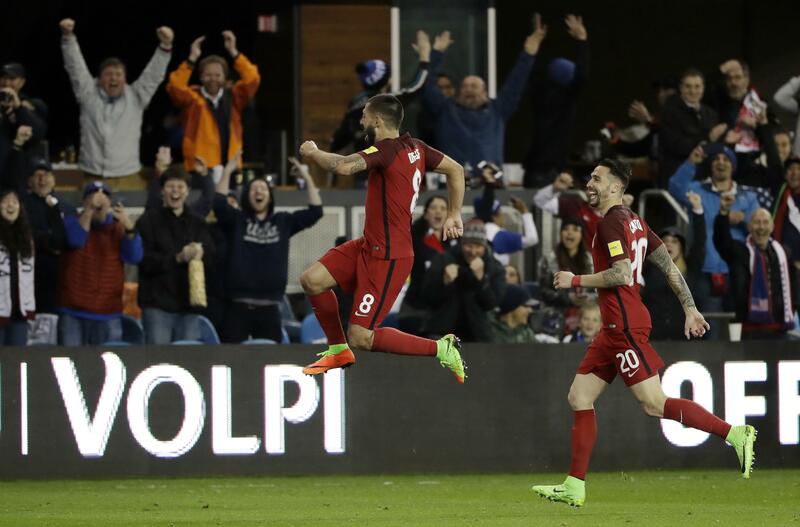 Surprise starter Sebastian Lletget got his first international goal in the fifth minute after Pulisic’s shot deflected off the goalkeeper, Michael Bradley doubled the lead in the 27th and Dempsey scored off Pulisic’s perfectly weighted chip in the 32nd. Finding room to maneuver in a central midfield role, Pulisic made it 4-0 just 12 seconds into the second half with his fourth international goal, Dempsey rounded the keeper to score following a Pulisic feed in the 49th, and Dempsey got another on a 23-yard free kick in the 54th. With 55 international goals, Dempsey moved within two of Landon Donovan’s American record. In its first competitive match since Arena replaced Jurgen Klinsmann, the U.S. moved from last to fourth in the final round of the North and Central American and Caribbean region, tied at three points with Honduras but ahead on goal difference, Mexico leads with seven points, followed by Costa Rica with six and Panama with four. The top three nations qualify for next year’s tournament in Russia, and the fourth-place nation advances to a playoff. With a victory at Panama on Tuesday, the Americans could move into the top three. The U.S. had never before won a hexagonal game by more than three goals. And oh how the American Outlaws and others among the lively home crowd loved every second of this long-awaited showing, chanting “Michael Bradley!” and “Demp-sey! Demp-sey!” through the Bay Area rain and cool March air. Gloom descended upon the Americans in November when they opened the hexagonal with a 2-1 home loss to Mexico and a 4-0 wipeout at Costa Rica. The defeats caused the U.S. Soccer Federation to fire Klinsmann, who had coached the Americans since 2011, and bring back Arena, who lead the team from 1998-2006. Dempsey, 34 and hoping to reach a fourth World Cup, was sidelined from August until this month by an irregular heartbeat and likely was starting only because of injuries to Bobby Wood and Jordan Morris. Tim Howard, the Americans’ 38-year-old goalkeeper, got the shutout after returning only two weeks ago from a leg injury sustained in the loss to Mexico. Geoff Cameron, back from a knee strain that had sidelined him for fourth months, was shifted to right back from central defense because of injuries to others, and Jorge Villafana was inserted on the left. But there were yet more injuries. Lletget hurt his left ankle on Ever Alvarado’s tackle and was replaced in the 18th minute, and defender John Brooks was stretchered off the field, hand over his face, in the 69th due to dehydration. From the opening whistle, the U.S. played more aggressively than in the latter years of Klinsmann’s reign. Arena revamped the midfield, giving a prominent role to Pulisic, who last week became the youngest American to score in the Champions League. He inserted Lletget and Nagbe, who were largely overlooked by Klinsmann last year, on the flanks. The U.S. went ahead when Jozy Altidore picked up a loose ball and on his second try poked the ball ahead to Pulisic. His left-footed shot that went off goalkeeper Donis Escobar, and Lletget tapped in the ball with his right foot from 2 yards. Bradley, given his debut by Arena in 2006, doubled the lead when he took a pass from Alejando Bedoya, cut to his left, took four touches and cut the ball back to beat Escobar with one-hopper from about 25 yards. Showing poise beyond his years, Pulisic created the third goal when he lofted a pass to Dempsey, who allowed the ball of bounce off his right shoulder. Dempsey held off Henry Figueroa and while falling scored with his right foot from 8 yards. Published: March 24, 2017, 9:50 p.m.